After you have selected your major event vendors, allow us to help you take your creative vision and make it a reality. Our design service will enable your story to take shape. We use our design and coordination expertise to customize your details, add personal touches and create a memorable and stress-free experience for you and you guests. Included in our Partial Planning Service is full coordination of the day of your event. We are here to make sure that your special event goes exactly as planned. After you have spent your energy planning for months, allow us to take over and handle all of the timing and details that will make your day memorable. Our coordination services ensure that your vendors are confirmed, everyone knows where they need to be and when and that you can enjoy your day completely stress-free. All communication with your vendors leading up to your event will go through Allie - making sure there are no missed connections and everything runs seamlessly during your event. We pride ourselves on our solution-oriented and flexible management style. When things do pop up, rest assured that we will take care of it. Our in-house floral design studio will work with you to extend your vision into the custom floral details for your event. We source our flowers and greens from the highest quality local farms and global growers. Our goal is to create and execute a design that elevates your aesthetic and brings your vision to life. If you have a favorite florist in mind, we will work with them to ensure your design elements are all perfectly coordinated. Allie brought energy, creativity, and talent to all aspects of the wedding planning process, and continually made herself available to help us in trouble-shooting the inevitable issues that come up in the planning process. She brought ideas and visuals to every meeting to address our areas of concern -- she even helped us with choosing our wedding attire, since we were going in somewhat of a nontraditional direction. We were thrilled with the quality of Allie's work, and feel grateful to have had her conscientious support throughout. 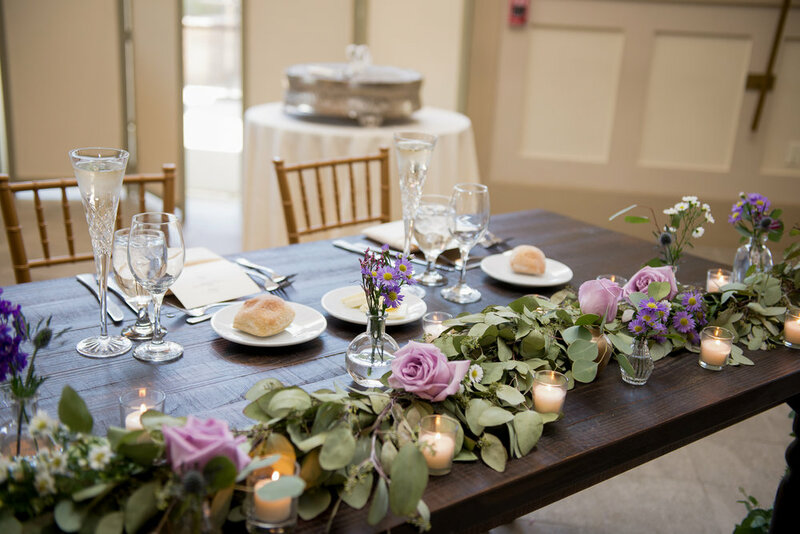 For the flowers, Allie and Julie created the exact kind of look we wanted, and gave us multiple options that worked within our budget. They also brought fresh ideas for our flower girls, which added a really nice special touch.